Japanese student in all-black streetwear while out and about in Harajuku. 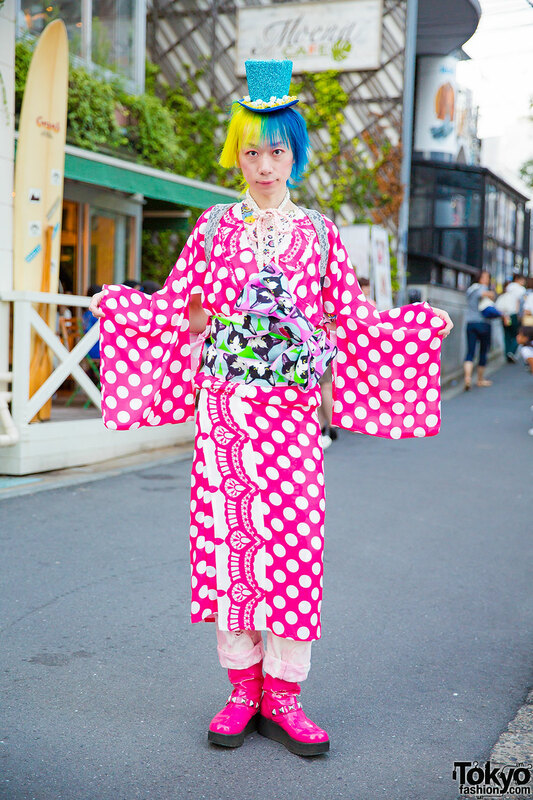 Harajuku blue-haired girl in monochrome print fashion with sperm t-shirt over a button down shirt, chain printed shorts, platform boots, and a graphic backpack. 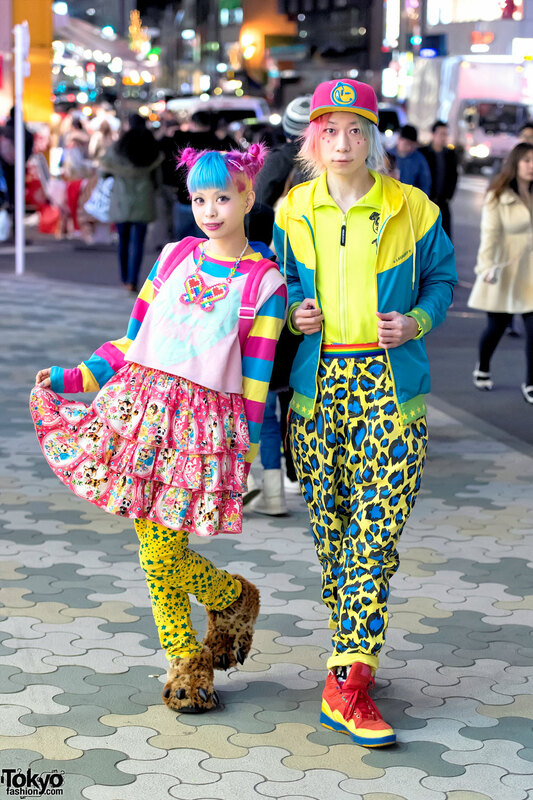 Harajuku girl in knitted headband, paisley print dress over pants, pink jacket, polka dot tote bag and Dr. Martens shoes. Harajuku girl with beret, faux leather jacket, skinny jeans, backpack, spike piercing and red lace-up boots. 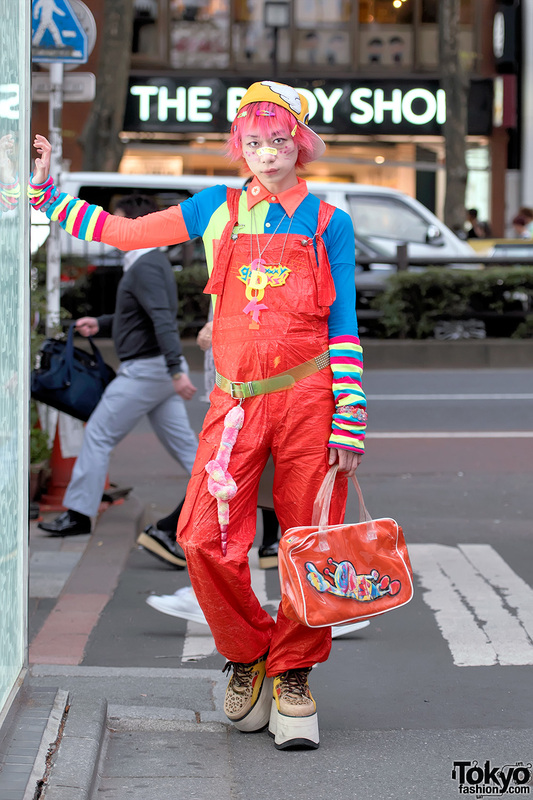 Harajuku girl with safety pins beret, macrame top over shirt, black jeans, milk crown bag, gauge earrings, silver rings & black shoes.